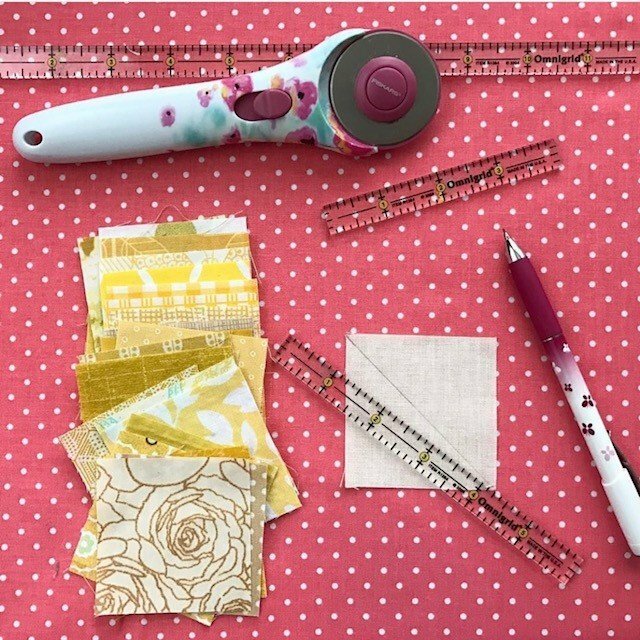 In this 8-week course, students will learn the art of quilting with Meg Fahrenbach, sewing blogger, quilt designer, and Westfield resident! Students will make a quilt measuring approximately 45" x 45" using Half-Square Triangles, a basic beginner-friendly sewing block. (This quilt size is perfect for baby gifts!) We'll systematically work through the proper techniques of the quilting process, from cutting to piecing to assembling, basting, quilting, and binding a quilt. Students will not only receive instruction on these steps but will have sufficient time during class to work on and master these skills under the guidance of the instructor. Prior to the start of the course, students will receive an email with material requirements. Fabrics for the quilt top must be purchased before (and brought to) the first class. Registered students receive 15% off any purchases in our fabric shop during the entire course! Note: This course is designed with enough work time that should be able to finish the quilt during class time, but a finished product is not guaranteed. Requirements: Students do not need quilting experience, however students must be comfortable independently operating a sewing machine.